Thank you very much for referring to my essay, so sensitively treated at the time by your editorial excellence and by the great Tartarus Press and for the original commissioning of it. Childe's canon is very worthy of further significant academic research both for his literary landscape,external influences and the spiritual wonder he unfolded. I have my copy of Dream English close at hand - inscribed by the author to Patrick Dallas and signed in full on the fep. Prior to my ownership it belonged to Chris Johnson (RIP), editor at SKOOB , and subsequently rediscovered again by the great Bob Gilbert, who passed it to me in 1996. Chris revered this book and I can see his eyes twinkling now! "From where he lay he could see the curves of the brown ploughland and a far blue arm of hill. The New life was begun'. 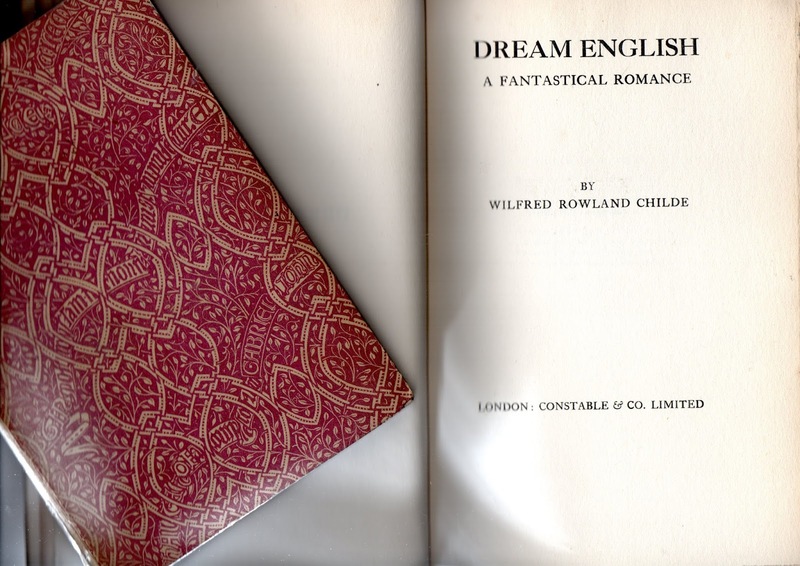 The final lines of Dream English. 1917.